Did you know that Dropbox offers it’s users the additional storage space for free? When you Refer a new user who registers for the free version of Dropbox, you and the person you have refereed will get 500 MB of additional storage space. So far, the mentoring system could achieve a maximum of 8 gigabytes of extra space for free. This offer was expanded to 16 gigabytes. So, just 32 people recommend to get additional 16GB free space to be added to your account. 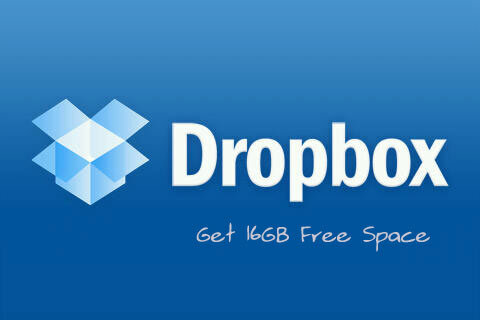 So hurry guys, invite your friends to get extra 16GB of free storage space from Dropbox. For every friend who joins and installs Dropbox, they give you both 500 MB of bonus space. You can find your referral code by pressing the link is called “Get Free space.” This link is in the upper right of the screen when you log into your Dropbox account. The announcement of Dropbox is probably a way to counter the imminent arrival of Google Drive. Google Drive could be available in the first week of April 2012. According to GiGAOM blog and sources, and that’s why I think Dropbox increased it’s limit from 8GB to 16GB for referral space. Free Hott Sticky Notes for Your Desktop.